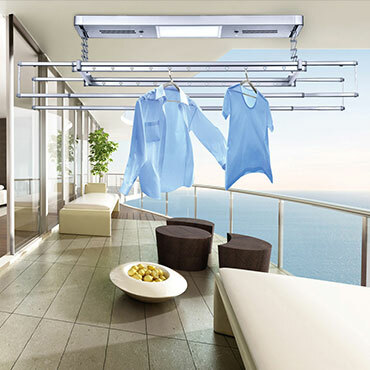 High-end intelligent electric laundry hanging rack, the hanging drying rack is operated by remote control. A new type of laundry drying rack wall that is convenient for the elderly and children to dry clothes. 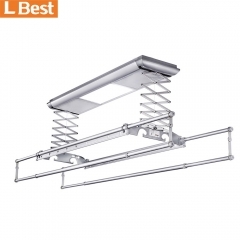 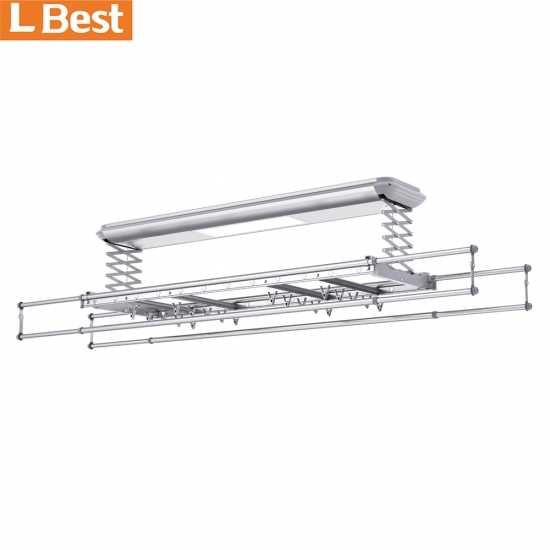 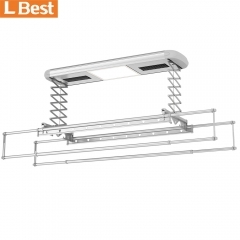 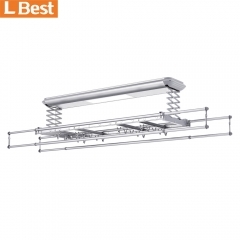 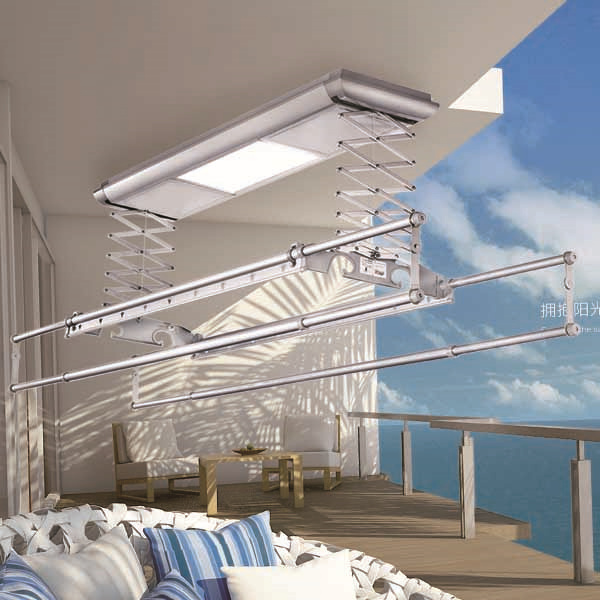 Smart balcony appliance products, automatic hanging drying rack appearance design is Fashionable. 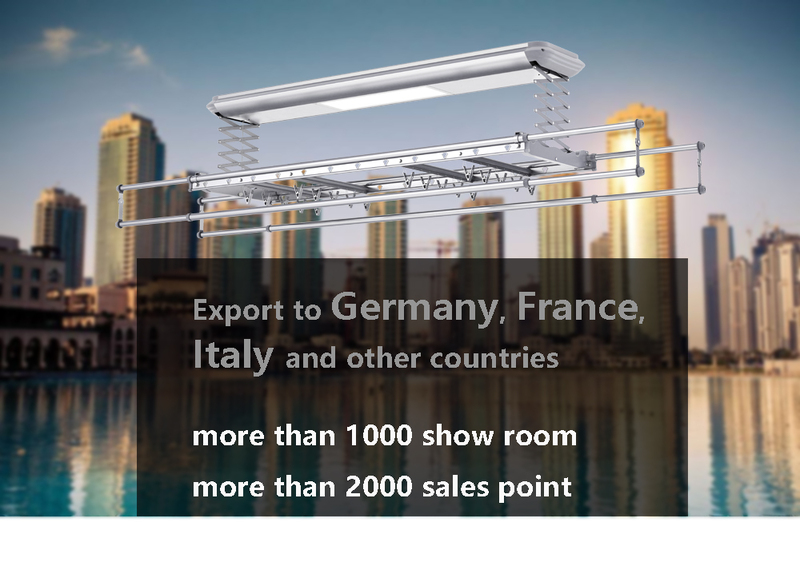 More than 1500 show rooms and 2000 sales outlets in the domestic. 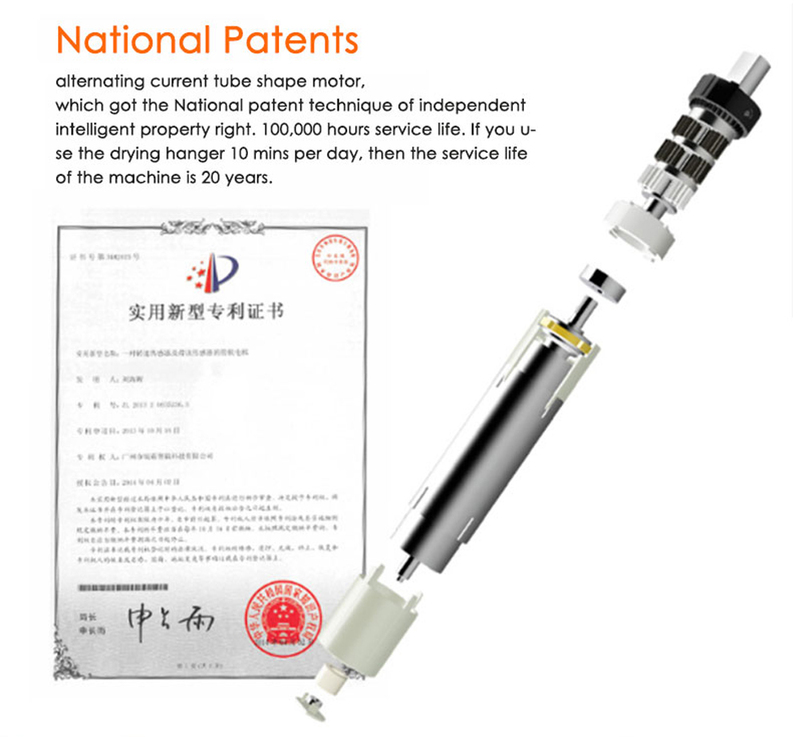 Made of aviation aluminum, it is not easy to deform. 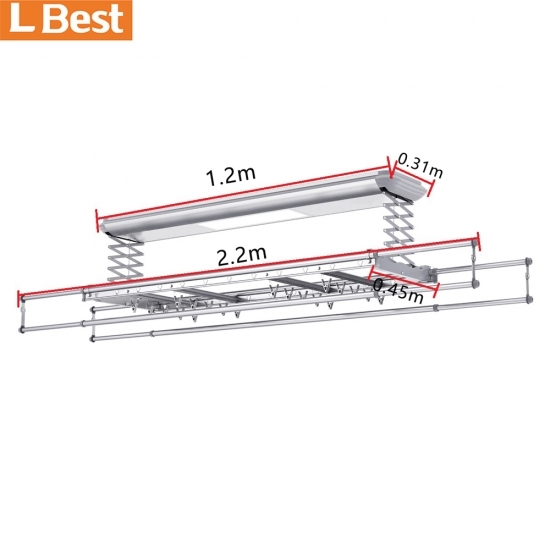 Four poles design: 2 clothes poles + 2 bed sheet poles. 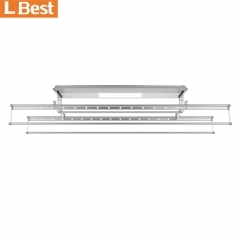 sufficient capacity! 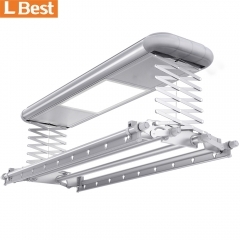 Using wireless remote control, similar to car remote control, can penetrate the obstacles to control the electric clothes dryer Within three meters, save time and energy. 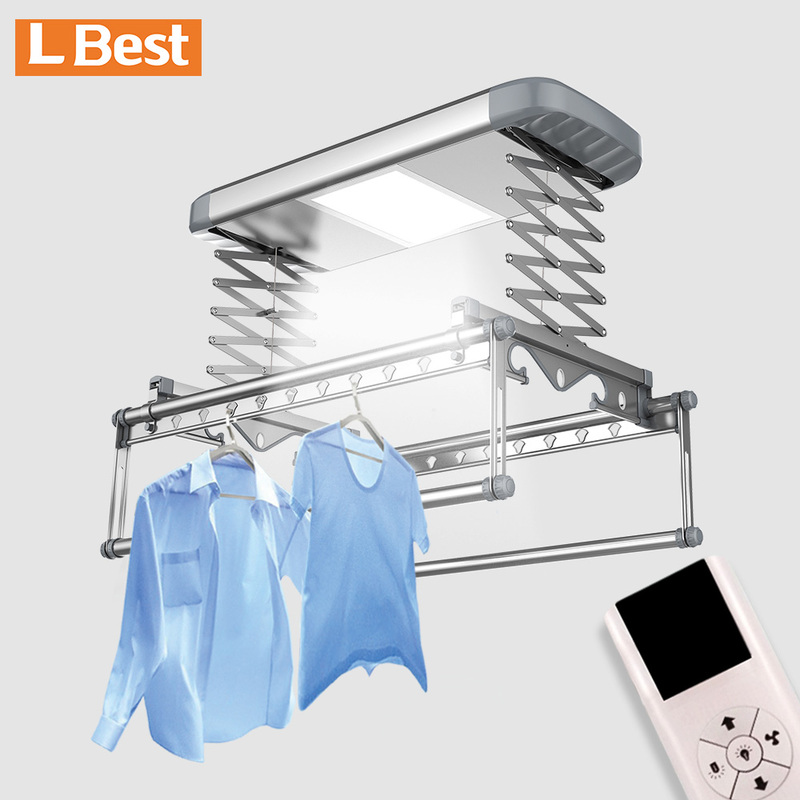 the elderly , children and pregnant women at home can easy to dry clothes. 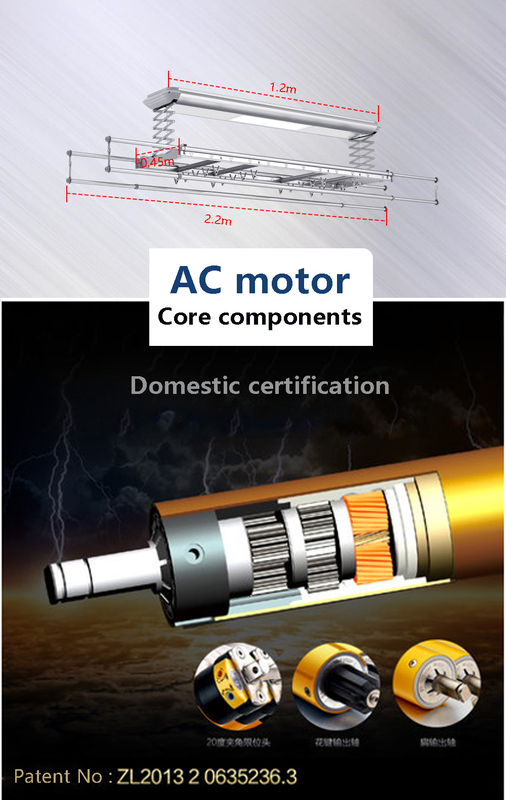 Ultra-quiet AC tubular motor (patent number: ZL20132N0635236.3). 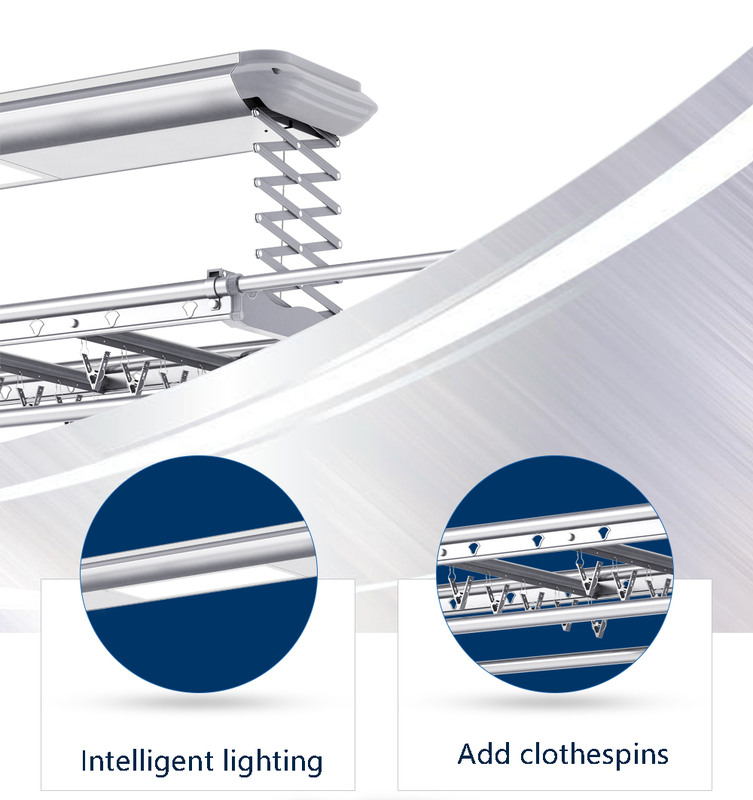 lifting capacity up to 35 kg, equivalent to 7 sheets of 0.5 kg quilt, static bearing weight is 120 kg, with over-voltage overheating and over-current automatic protection function, after testing by Authority agency, The cloth drying rack life of up to 20 years. 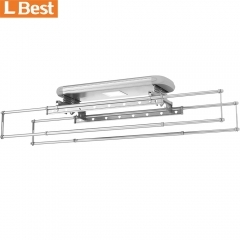 Intelligent heating clothes drying upgrade your balcony from the appearance,Automatic clothes hanger bring more convenience to your life. 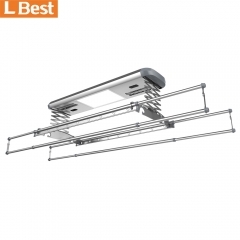 Remote control clothes dryer Convenient Elderly and child .Intelligent electric drying rack is favored and used by more and more families because of its convenient operation, various functions, novel style, exquisite appearance and convenient installation. 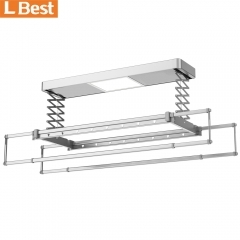 Automatic clothes drying rack is not only a drying tool, but also become an ornament in the appearance,electric clothes drying rack already becomes a landscape in the balcony. 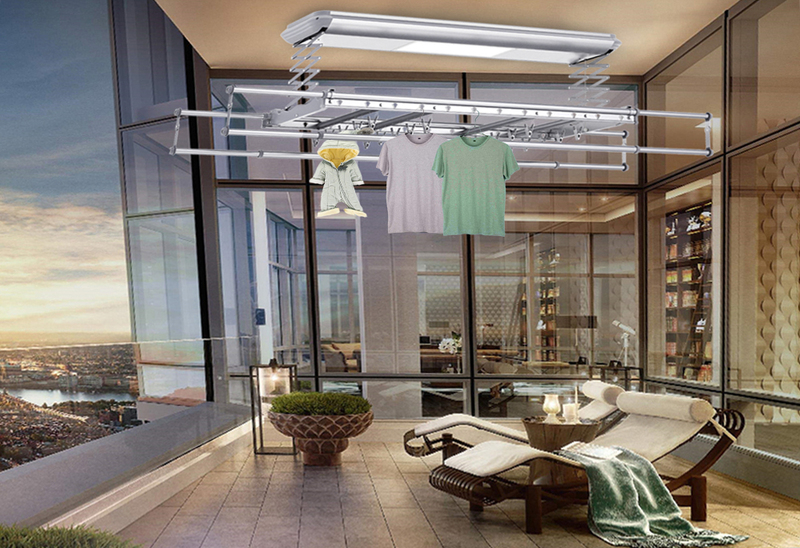 The Electric Clothes Rack Has The Function Of Disinfecting And Drying, Speeding Up The Air Drying, And Caring For The Health Of Family And Children. folding drying rack by the remote control to operate the controller, electric indoor clothes drying rack can be controlled to up and down.